When did you realize your potential as a leader? Was it after the successful completion of a big project? Were you thrust into a leadership position and forced to sink or swim? Or did someone else see potential in you that you didn’t even know was there? 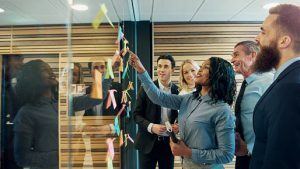 No matter the path you took to leadership, the journey likely involved confronting and overcoming a few of these common misconceptions. 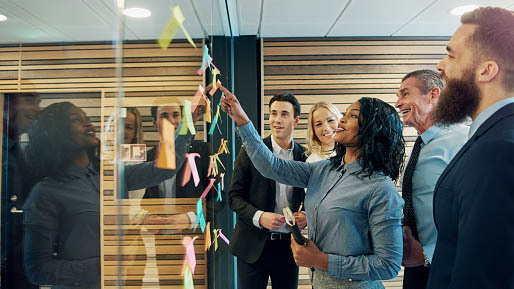 While final decisions on projects, strategies, and tactics often come down from someone in a decision-making position, there are plenty of opportunities for employees at every level of the hierarchy to lead. Whether it’s setting an example through consistent hard work and dedication, or stepping up to the plate when the team needs them the most, your employees likely reveal their leadership potential every day. As their leader, it’s important to recognize those qualities and offer encouragement and mentorship to help them develop the skills and expertise to keep their careers moving forward—and upward. Nature or nurture? When it comes to leadership, the answer is both. Although many people are born with a proclivity for leadership, to be a great leader they must be dedicated to constantly honing and developing their skills. Inversely, people who are born without a natural leadership bone in their bodies can put in the work to learn and develop the skills, characteristics, and personality traits that will make them an effective leader. You’ve made it. You’re a leader now. All the years of hard work, training, and development has paid off and now you can just coast through the rest of your career on top … well, not exactly. The same dedication that got you to your new leadership position is going to be just as important if you want to stay there. From reading business books to attending seminars and conferences to consulting with a personal mentor, great leaders constantly seek learning opportunities to ensure they stay ahead of the pack. The real distinction between average and extraordinary leaders often emerges in the wake of a big mistake. Don’t pass the blame onto others. Own your mistakes and set an example of how to bounce back quickly and strategically. Taking responsibility for your blunders only makes you human in your employees’ eyes and you’ll likely earn more respect when you follow up with a plan to address the situation and get back on the right track. Just as you can be a leader without being a manager, like in the example above, you can also be a manager without being a great leader. Being promoted into a management position doesn’t automatically mean you know how to lead. One of the biggest follies that affect new managers is being promoted too soon. You can have the work ethic, knowledge base, and unique insight required to do the job, but if you can’t communicate with and relate to those you lead, it will be difficult to earn their trust and respect. Even the most dynamic and respected leaders didn’t begin their careers at top. Everyone has to start somewhere, and for most of us, that means many years of building experience, learning skills, and most importantly, failing miserably. Great leadership is the culmination of battles fought and lessons learned on the way up. The very best leaders know what their people are going through because they’ve been there themselves. Although everyone loves an impassioned pep talk from a larger than life personality that rallies the troops and focuses the team on making that final push toward success, many great leaders can be just as effective with a more subdued personality. More pragmatic characteristics like consistency, reliability, and trust can be equally uniting. What are some other misconceptions people have about great leaders? Let us know in the comments section below. Question of the Month: What Type of On-the-Job Training Does Your Company Provide? I heard this just recently and I wish I could give you an attribution. But good leaders need to have three attributes. 1. Curiosity. Be always willing to learn and ask questions. 2. Humility. Admit mistakes and most of all learn from them. 3. Empathy. Create in yourself a willingness to understand the people that you work for, work with and especially those who work for you. I have just recently participated in a Leadership Development program over the past few months. The most helpful distinction made during these sessions, for me, was understanding that Leadership is necessarily about driving CHANGE – as “management” and “supervision” tend more to do with maintaining systems already in place. We need BOTH aspects in the organization – but the difference is HOW you create, communicate, and drive the vision of the whole. Leadership, thus, is necessarily about MOVEMENT, it’s dynamic and changing – with all the attendant uncertainties. Leading THROUGH change is the distinguisher. Great article, good reminder for those who have been complaisant in their position. Thank you!